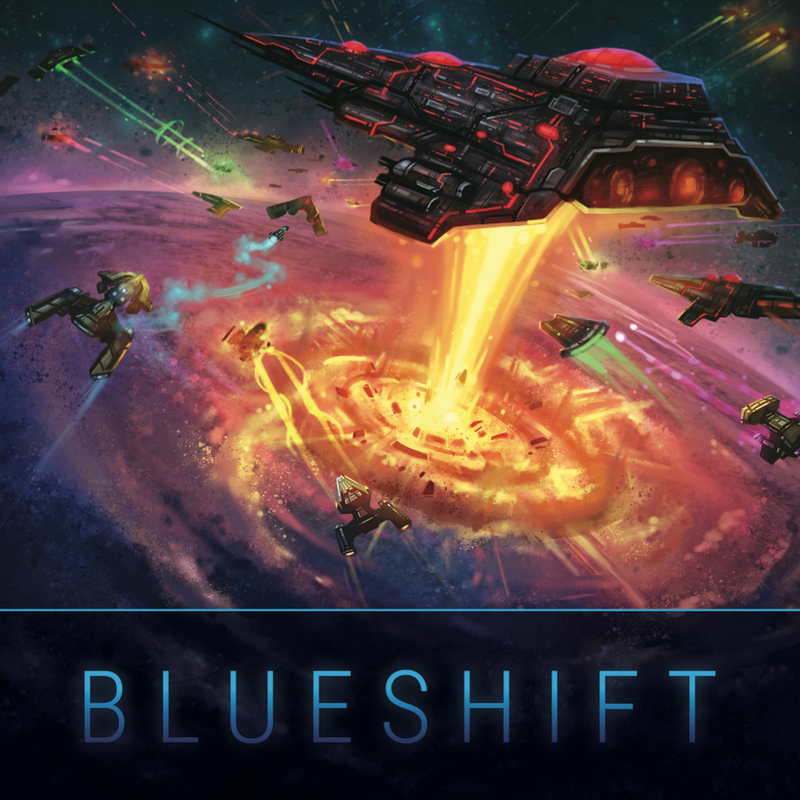 Blueshift is the epic sci-fi strategy board game for 2-6 players that has both a simple learning curve and depth of strategy. Pick a species and compete against your opponents to explore the depths of space, conquer new worlds, and construct great interstellar fleets to advance your empire! Each species has powerful strengths and abilities. Every setup is random and unique, so no game is the same. As your empire grows, your armada will grow alongside it. The first few planets may seem easy to take, but players will need to take daring and calculated maneuvers to obtain the final victory points necessary to win! “This game heartily rewards strategic thinking, but still throws in moments of unpredictable chaos to keep things hilarious and interesting. Whether you dominate the galaxy through brilliant trade moves or an unbeatable armada, you will be guaranteed an experience that is rife with shady diplomacy, explosive combat, and good old fashioned interstellar backstabbing!" 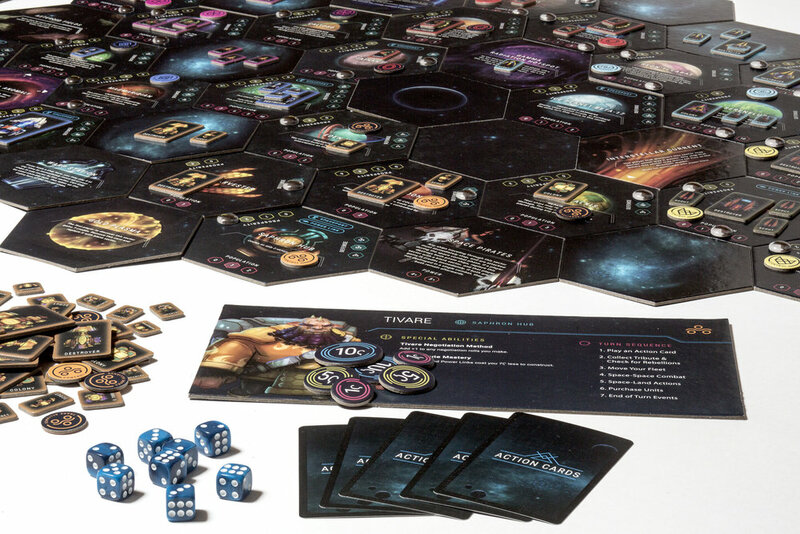 "Simply put, Blueshift has everything I want from a board game. First, the basics of the game are simple to learn, but it has a lot of room for complex strategy. This along with the modular game board means that you will never play the same game twice! Second, it has an engaging narrative. Each playable faction has their own backstory and strengths that add rich flavor to every adventure as you grow from a single planet scouting the mysteries of void to an empire set on galactic conquest. Third, the game is just gorgeous! Each faction has has uniquely designed, full colored game pieces. 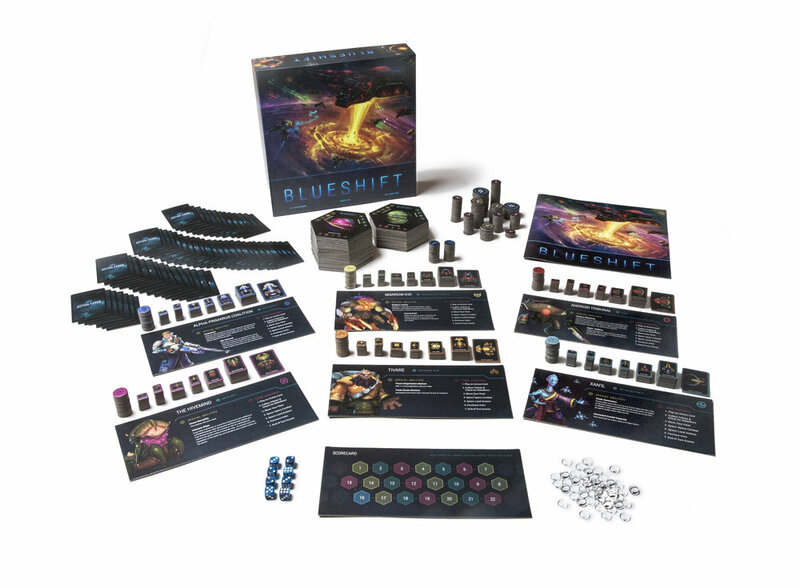 If you love engaging, well-designed board games, Blueshift should have a spot in your collection." FREE download of the Blueshift rulebook! JOIN THE RANKS! ORDER YOUR COPY TODAY!